Looking for the perfect gift for your favorite comic geek? Well this just might be it! 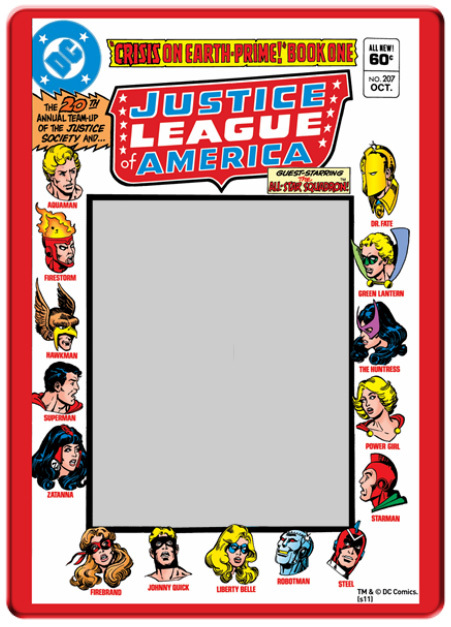 It’s a customizable Justice League of America photo frame! 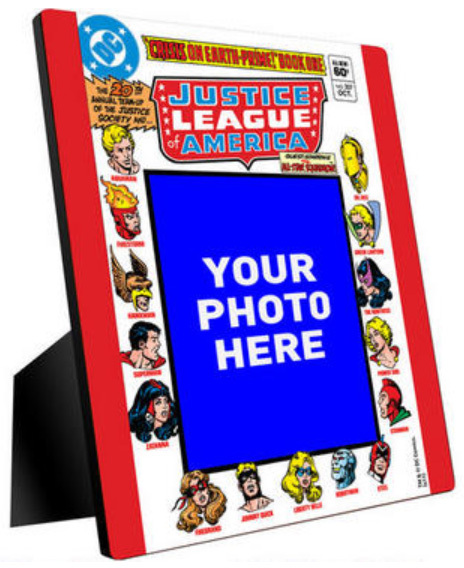 It features a colorful vintage comic book cover design (from Justice League of America #207, featuring Firestorm with art by George Perez) plus an area where you can add a photo of your very own printed right on the panel. Just to give you an idea how this would look with your picture inserted, check out this super-cool dude! Keep in mind, you’ll never be as cool as this guy. Such a great looking frame! 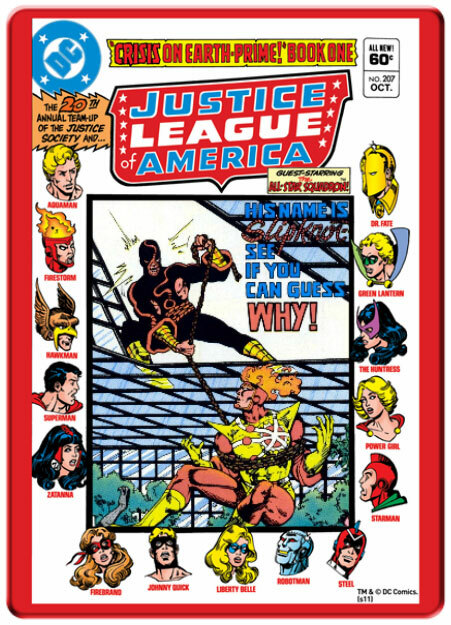 Where else are you going to buy a piece of merchandise that includes: Firestorm, Doctor Fate, Aquaman, Johnny Quick, Liberty Belle, and Power Girl?!?! The JLA, JSA, and All-Star Squadron together?!?! It doesn’t get any better! Visit the DC Entertainment online store to order your own today! Posted in: Firestorm #01: Original (Ronnie/Martin), George Perez, Justice League of America. ← New Firestorm Heroclix in Stores Today! This makes me want to track down one of my very good long lost friends for a reunion so that I can punch him really hard in the face, preferably with something exploding in the background. Can’t put a price on verisimilitude. That frame is awesome! Great find, thank you for sharing this!